Do you celebrate St Patrick's Day? We aren't Irish, we don't live in Ireland and we don't have a lick of Irish in our family heritage but it's a fun holiday to celebrate! We know who Saint Patrick was! 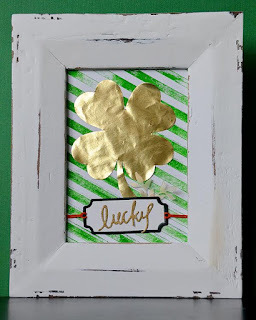 Along the lines of our celebration, I created a fun "lucky" photo frame to decorate with. 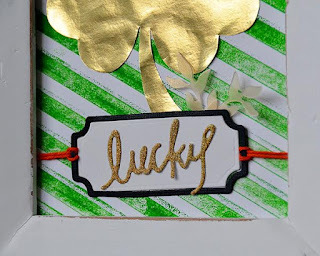 The background, behind the lucky shamrock, was created with a fun technique using my Cut'N Boss and one of the Craftwell/Teresa Collin's embossing folders. 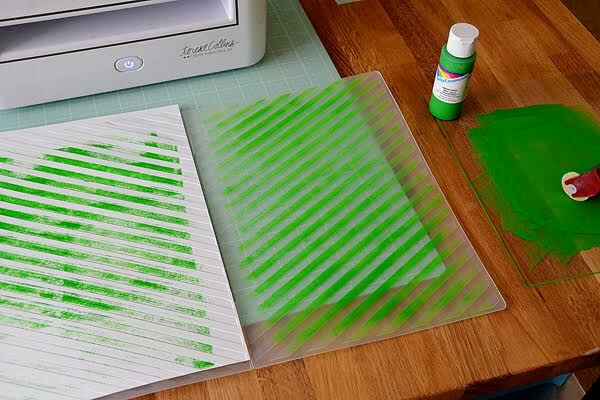 Using a brayer to roll color over half of the embossing folder is a great way to add color to those embossed papers. Once you brayer your paint over the folder, carefully close the folder, assemble the sandwich and run it through your Cut'N Boss. I recommend that you roll the folder half while it is sitting on the bottom plates so that there is not moving of the sandwich necessary thus minimizing the potential for shift of the parts. 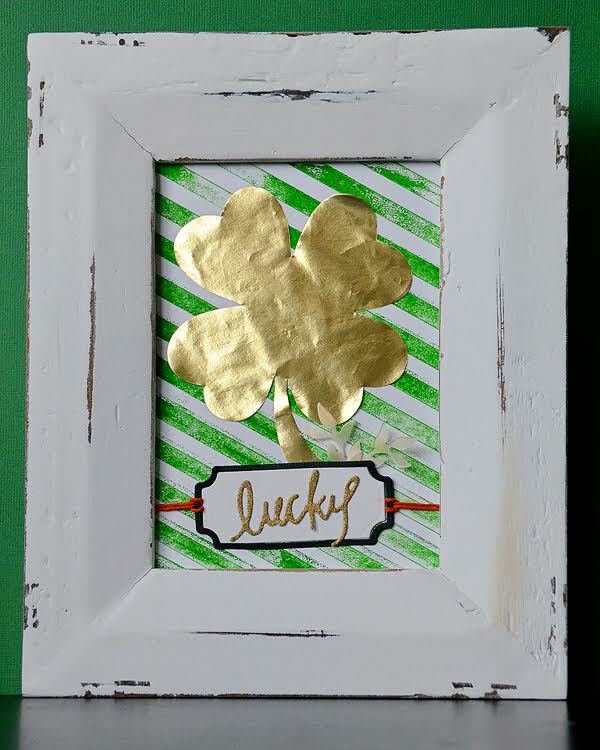 Trim the painted, embossed paper down to frame size and have fun getting lucky! All other elements but the shamrock are from Craftwell/Teresa Collins pocket dies. I hand cut the shamrock as that gold paper does not run through my electric cutting machine well. 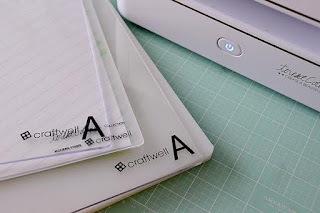 I hope you are inspired to dress up a frame or try this painted embossing folder technique! Happy St Paddy's Day! I need this to root my Irish on to victory! So awesome!